Hematopoietic stem cells give rise to other blood cells. A stem-cell treatment put a London cancer patient’s HIV into remission, marking the second such reported case and reinvigorating efforts to cure the AIDS-causing infection that afflicts some 37 million people globally. The patient has been in remission for 19 months, the International AIDS Society said in a statement. That’s too soon to label the treatment —which used hematopoietic stem cells from a donor with an HIV-resistance gene — as a cure, researchers said on Tuesday in a study in the journal Nature. An embargo on the paper was lifted due to early reporting of the finding. 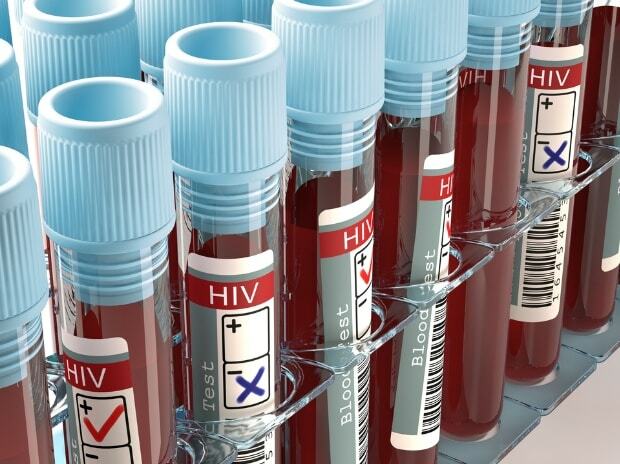 The New York Times said on Monday that the latest surprise success confirms that a cure for HIV infection is possible. University College London researchers made the announcement at the annual Conference on Retroviruses and Opportunistic Infections in Seattle this week. Acute myeloid leukemia patient Timothy Brown, who became known as the “Berlin patient,” was treated aggressively more than a decade ago in an HIV-curing approach that hasn’t been successfully repeated until Ravindra Gupta and colleagues showed the effectiveness of a less aggressive form of treatment. Gupta’s case was in an HIV-positive man with advanced Hodgkin’s lymphoma who received a transplant of hematopoietic stem cells from a donor with two copies of the so-called CCR5 gene mutation -- the same one allegedly edited by He Jiankui that led to the birth of the world’s first gene-edited babies last year. “The so-called London Patient has now been off ART for 19 months with no viral rebound which is impressive, but I would still be closely monitoring his viral load,” said Lewin, who is also co-chair of the International AIDS Society’s Towards an HIV Cure initiative.